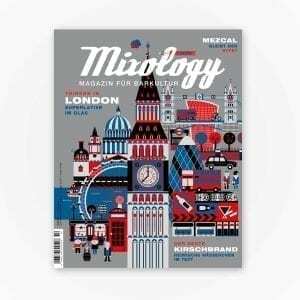 MIXOLOGY, the magazine for bar culture, is published seven times a year. We offer two types of subscription services. Readers who reside in Germany can subscribe to the magazine for € 58. The subscription rate for readers who live in Austria, Switzerland, and other countries is € 75. These prices include legal value added tax. We’d like to point out that subscribers to the print magazine do not have access to the paid content on MIXOLOGY ONLINE. If you’re a resident of Germany, you’re able to pay via money transfer or direct debit. If you subscribe to MIXOLOGY via the form below, you’ll receive the relevant information. Please note that MIXOLOGY subscriptions are not managed by Mixology Verlags GmbH, but by the PressUp GmbH. If you have any questions about your subscription service, please reach out to our colleagues at PressUp via abo@mixology.eu or call them via 0049 40 38 6666 344. Remember to always state your customer/subscription number during any communication. You’ll receive your invoice with payment information via post with the newest issue of MIXOLOGY. Ich möchte Mixology für 6 Ausgaben zzgl. Sonderausgabe zum Preis von € 58 abonnieren. Ich möchte Mixology für 6 Ausgaben zzgl. Sonderausgabe zum Preis von € 75 abonnieren. Ich möchte dieses Abonnement verschenken. Ich möchte meine Rechnung per E-Mail erhalten. Das Abonnement beginnt zur nächsten erreichbaren Ausgabe. Mixology erscheint alle zwei Monate (zzgl. Sonderausgabe). Das Abonnement verlängert sich nach Erhalt der letzten Ausgabe automatisch für ein weiteres Jahr, vorbehaltlich einer Änderung des Abonnementkontents durch Mixology. Ja, ich möchte den wöchtentlichen Newsletter erhalten. Ja, ich möchte den BIER, BARS & BRAUER Newsletter erhalten. Ich bestätige meine Angaben und erkläre mich mit den Abonnementkonditionen und AGB einverstanden.